::: Rap groups once reigned supreme. What happened? Rap groups once reigned supreme. What happened? Written by Elahe Izadi — De La Soul is an anomaly in the hip-hop world. Here’s an act that’s been together for nearly three decades and, with last week’s release of “And the Anonymous Nobody,” is still releasing innovative and forward-looking work, rather than trying to rehash a previous sound. And they’re doing it as a rap group. Such hip-hop acts were once the norm, topping the charts and garnering critical acclaim. But by 2016, the big-name rap group has nearly vanished, a throwback to a bygone era. Gone are the days of N.W.A and A Tribe Called Quest dominating rap. We can only wait for reunion performances or the possibility of one final album. By its nature, hip-hop has always been a collaborative art form. We still have labels (Young Money) and collectives (Odd Future), that have crew-affiliated artists. Some groups (Migos) still do come on the scene. But most of today’s top rap artists are solo acts. Why don’t we have major cohesive groups like those of the past? The typical drama that breaks apart a music group in any genre — money, drugs, ego, personality clashes — has split up the most beloved rap groups. Last year’s “Straight Outta Compton” dramatized many of those forces. Just the logistics of getting a bunch of individuals, each with their own quirks, priorities and solo projects, can be a monumental task. Look at the 10-member Wu-Tang Clan, who spent years trying to corral everyone to make one last album. 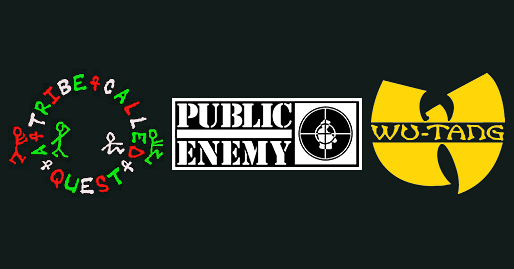 Some groups, such as Public Enemy, have reincarnated with new members and continue to tour. Others, such as Outkast and A Tribe Called Quest, have had breakups and hiatuses result in successful solo careers. As tempting as it is to recapture the magic of the past or satisfy nostalgic fans, it can feel gimmicky to get the band back together. Today, it’s easier than ever for artists to collaborate remotely, exchanging verses or beats online. And there can be a monetary incentive for going it alone. Throughout the years, they’ve evolved together and remained together, remarkably drama-free. How? De La Soul has never split and tried to reunite, perhaps sensing the limits of solo work. In making “And the Anonymous Nobody,” De La Soul turned to their fans, not record companies, and asked them to directly finance the project via Kickstarter. And in order to avoid having to pay for samples, which marked a lot of their previous music, they instead recorded more than 200 hours of live musicians jamming, and sampled from that. The result is a 17-track record that may not be on Spotify’s top streaming albums, but is receiving critical acclaim and climbing international charts; it is currently No. 2 on the U.K. top R&B album list. An eclectic mix of artists that spans eras and genres make cameos (David Byrne, 2 Chainz, Snoop Dogg, Usher, Roc Marciano, Little Dragon and Damon Albarn all feature). “‘Cause we’re still here now,” the trio proclaims on one track. And indeed, they still are.